While the early notion of a smart watch from Samsung launching alongside the company’s flagship Galaxy S4 smartphone didn’t materialize, Lee Young Hee, Executive VP of Samsung Mobile, has told Bloomberg that the product is real, and is currently in development. The wearable tech, it would seem, will go head to head not only with the wildly-popular Pebble smart watch, but also Apple’s heavily rumored iWatch, to which the Cupertino company is said to have dedicated a team of over one hundred personnel. Rarely is it, these days, that Samsung waives its right to explore any new digital avenues – particularly one in which Apple may be involved. Although no member of the fruit company’s higher ranks is likely to step out and blab about the iWatch (even if such a product exists), at least we now know that if Apple does decide to dabble in this market, we’ll be getting another face-off between two of tech’s largest outfits. We’ve been preparing the watch product for so long. We are working very hard to get ready for it. We are preparing products for the future, and the watch is definitely one of them. Lee stopped short on revealing specific features of the watch, and also would not disclose the release date. With Apple also having remained silent thus far, it’s not surprising that Lee wanted to play his cards somewhat close to his chest, but at least, from Samsung’s end, we know the Korean company will be playing its hand. Rumored names of the device include Altius, and of course, Galaxy Watch. The latter would certainly be the more favorable in terms of product identity, but Altius (from the Latin Phrase “Citius, Altius, Fortius” meaning “Faster, Higher, Stronger”), is a decent alternative. Whatever the name of the Samsung smart watch may be, it’ll be interesting – amid the battles fought on the smartphone and tablet front – to see both Apple and Samsung lock horns once again later this year. 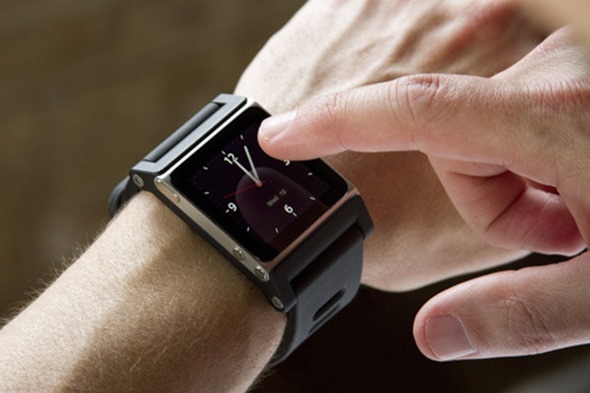 Much like the cloud industry, which Microsoft, Apple and Google only recently entered, there’s already a well-established “Dropbox” in the form of the Pebble smart watch, but considering how many consumers already enjoy their Apple and Samsung products, I don’t believe a heavily-integrated, supplementary smart watch will be too hard a sell. It was in the mid of February when first screenshots from the alleged Samsung smart watch leaked, but back then there wasn’t much that was revealed. We’re expecting more leaks would follow and more details would emerge, so stay tuned.